Apple Corps Ltd. and Universal Music Group are pleased to announce global release plans for The Beatles: Live At The Hollywood Bowl, a new album that captures the joyous exuberance of the band’s three sold-out concerts at Los Angeles’ Hollywood Bowl in 1964 and 1965. 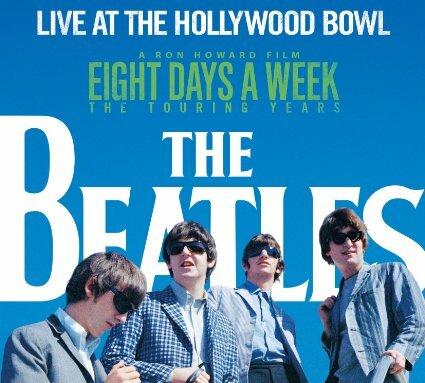 A companion to The Beatles: Eight Days A Week – The Touring Years, Academy Award-winner Ron Howard’s authorized and highly anticipated documentary feature film about the band’s early career, The Beatles: Live At The Hollywood Bowl will be released worldwide on CD and for digital download and streaming on September 9, followed by a 180-gram gatefold vinyl LP on November 18. The album includes a 24-page booklet with an essay by noted music journalist David Fricke, and its cover art features a sunny photo taken on August 22, 1964 by The Beatles’ then-U.S. tour manager, Bob Bonis, as John, Paul, George and Ringo boarded a chartered flight from Seattle Tacoma Airport to Vancouver, BC for their first concert in Canada. While The Beatles: Live At The Hollywood Bowl references the long out of print 1977 album, it is an entirely new release, directly sourced from the original three track tapes of the concerts. To preserve the excitement of the shows while unveiling the performances in today’s best available clarity and quality, GRAMMY Award winning producer Giles Martin and GRAMMY Award winning engineer Sam Okell have expertly remixed and mastered the recordings at Abbey Road Studios, including the thirteen tracks from the original album produced by Giles’ father, plus four additional, previously unreleased recordings from the momentous concerts. White Horse Pictures’ GRAMMY Award-winning Nigel Sinclair, Scott Pascucci, and Academy Award and Emmy Award-winner Brian Grazer of Imagine Entertainment are producing with Howard. Apple Corps Ltd.’s Jeff Jones and Jonathan Clyde are serving as executive producers, along with Imagine’s Michael Rosenberg and White Horse’s Guy East and Nicholas Ferrall. Following a world premiere event in London on September 15, the film will roll out theatrically worldwide with release dates set in the U.K., France and Germany (September 15); the U.S., Australia and New Zealand (September 16); and Japan (September 22). In the U.S., Hulu is the presenting partner for Abramorama’s theatrical release of the film, which will be available to stream exclusively to Hulu subscribers beginning September 17. Studiocanal and PolyGram Entertainment are also anchor partners on the film, having acquired U.K., France, Germany and Australia and New Zealand rights. . Previous articleWhat’s Jack White up to now? It’s out of this world.